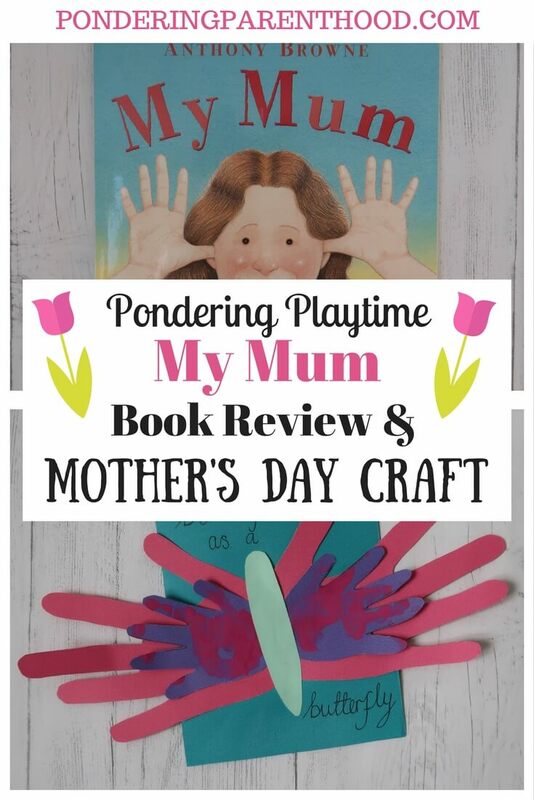 My Mum by Anthony Browne* and a cute handprint Mother’s Day craft activity to go with it. My Mum – What’s the Story? 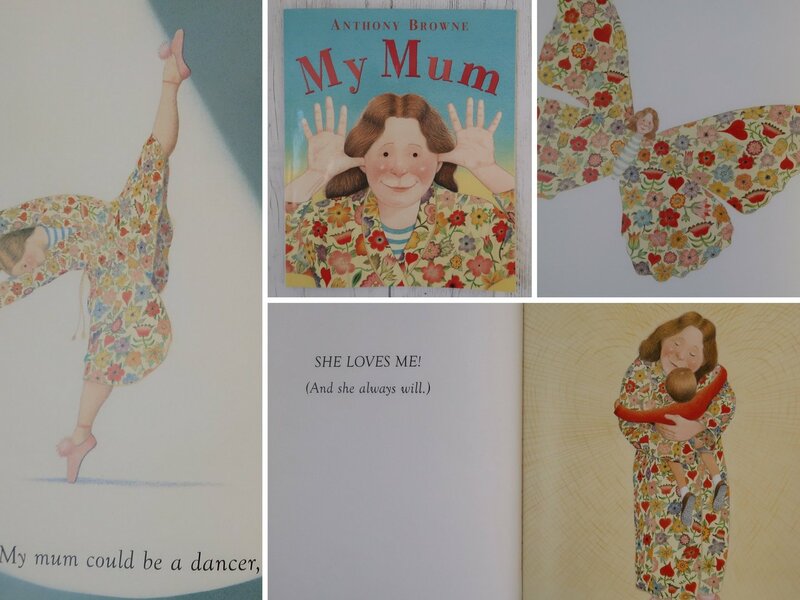 My Mum is a gorgeous picture book in Anthony Browne’s signature style. The story is told as much through the pictures as the words, with lots of double meanings to keep the adults as entertained as the children. On each page, a special characteristic of mum is shared and illustrated. I wanted to do a special Mother’s Day craft this week, while still linking it to My Mum by Anthony Browne. 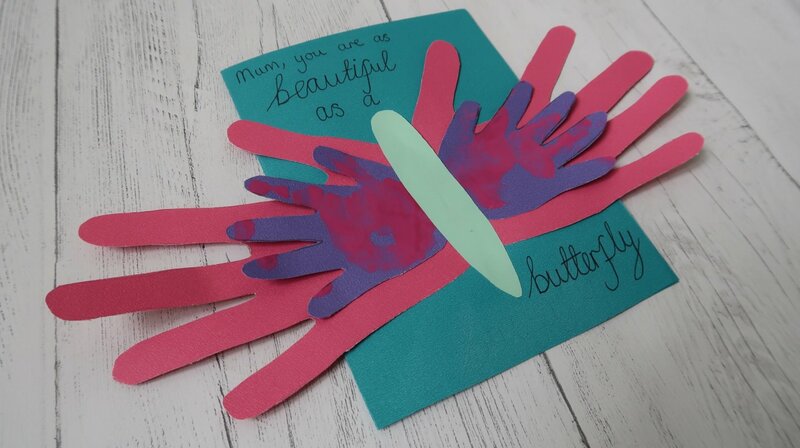 So I took inspiration from the line, ‘My mum is as beautiful as a butterfly’, and opted for this butterfly handprint craft. We started by dipping M’s hand in pink paint and printing it onto purple card. I then drew around my hands onto pink card and cut out both sets of handprints. 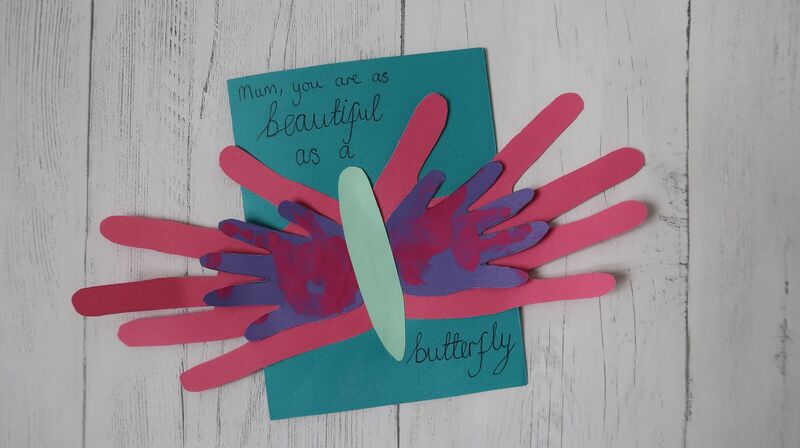 I then used a third colour to make the butterfly’s body, and another piece of card to make a Mother’s Day card. This would work equally well as a poster, though. Once I’d glued everything on, I then wrote my message on the front, mirroring the simile from My Mum. 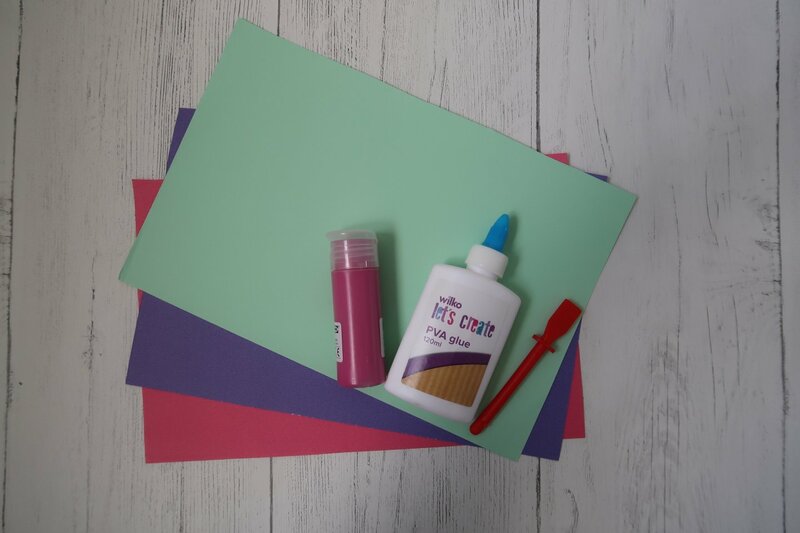 A perfect handprint Mother’s Day craft! 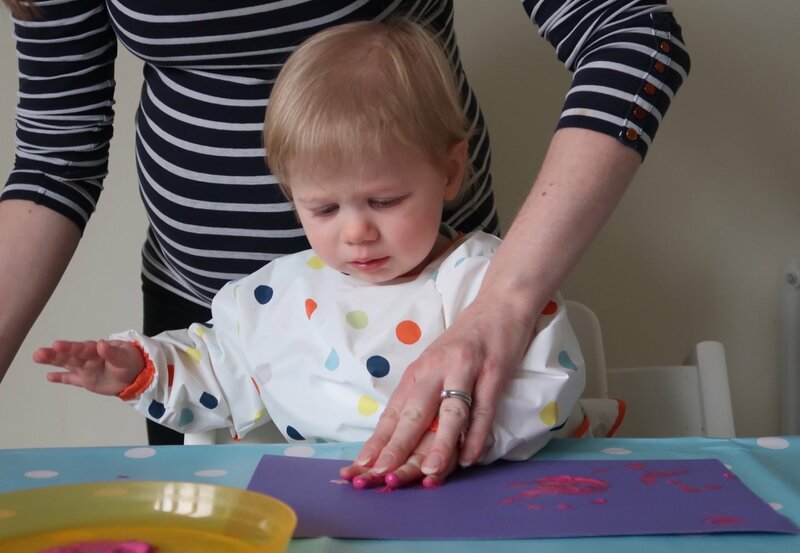 As you can see from the photo below, M was a little bit wary of dipping her hands in the paint! This was the first time we’ve ever hand paint out, though, and knowing how funny she can be about new textures, I’m not really surprised! It just shows that I need to keep doing these sorts of activities with her to provide these new sensory experiences regularly. This was a really cost-effective activity to do, as the card I used was actually sourced from old file dividers. I simply cut off the holes and tabs and had a stash of card ready to go! I think the double handprint looks really effective, but my hands are considerably larger than M’s, so it might be more effective to make using siblings’ handprints. That way you don’t need to sneakily draw around mum’s hands, either! As for the book, M absolutely loved My Mum straight off the bat. She insisted on reading it five times in a row as soon as it arrived! It’s full of similes, too, so provides a great example for older children who are learning about them. This book would make a lovely Mother’s Day gift to share as a family. If you enjoyed this, you can find more Pondering Playtime activities here.